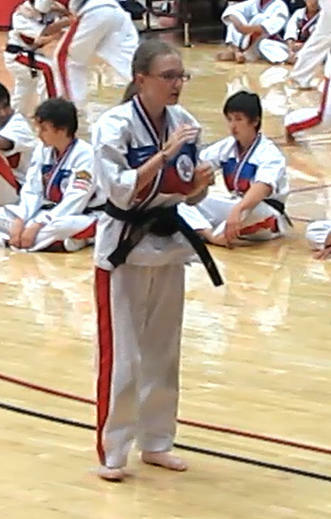 She never let her asthma keep her from pursuing becoming a black belt - in fact she made it to 2nd degree! How serious she looks! I'll have to share this with DD -- she wants to do karate ... maybe that could be her lifetime sport? ?